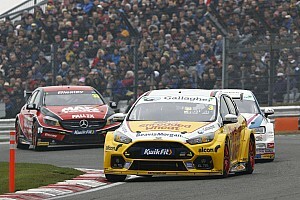 Twenty-year-old Aiden Moffat secured his maiden BTCC win in the first race at Donington Park on Sunday. 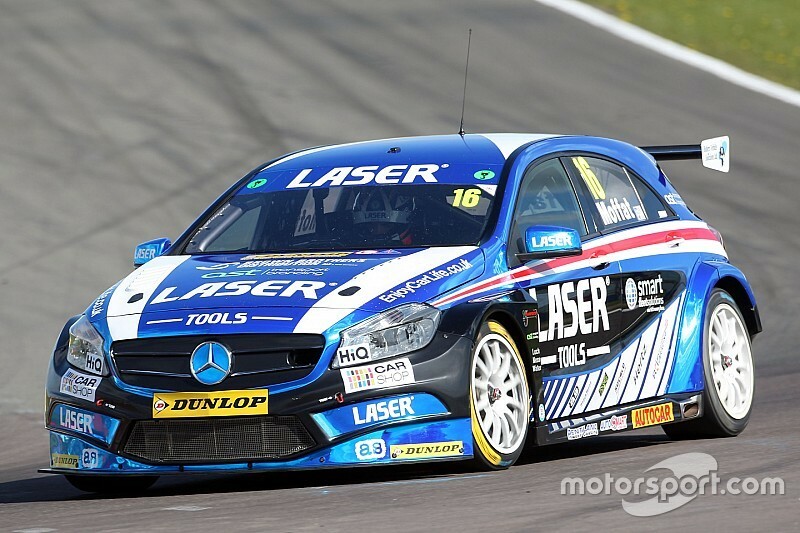 The Scott, who drives for Laser Tools Racing Mercedes, worked his way past pole-sitter Rob Austin (Handy Motorsport Toyota), who had dropped to second from the start after a touch, after two laps. Moffat chopped into a 0.5s lead for Tom Ingram (Speedworks Motorsport Toyota). On Lap 5, Moffat powered alongside and ahead of Ingram going through Holly Wood to seal a lead he would not lose. “That just feels unbelievable ,” said Moffat. “I knew I had a good car underneath me, and it seemed to switch on quicker than the others which gave me the edge. 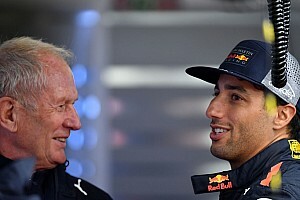 "The car had a lot of traction and I knew that if I got alongside Ingram, with his weight and tyres, at the top of the Craners, I could make it stick. 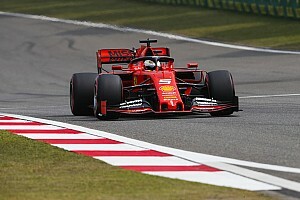 Ingram, on the harder tyres and with 66kg of success ballast, dropped back down as Austin muscled his way ahead and a train of cars followed him. 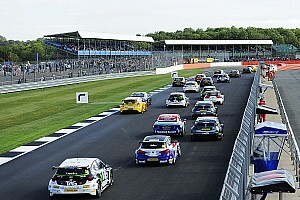 Matt Neal (Team Dynamics Honda) grabbed third and Colin Turkington (WSR BMW) grabbed fourth. Neal tracked Austin and grabbed second place on Lap 11 with a move down the inside into the Old Hairpin. Austin held on for third place, with Turkington on his bootlid. Ingram held on to fifth despite his harder tyres and ballast, although he was under pressure throughout. First the fully ballasted Gordon Shedden (Team Dynamics Honda) attacked Toyota before he ceded ground to Adam Morgan (Ciceley Racing Mercedes). Over the latter stages, Rob Collard (WSR BMW) tried his best to wrest the place but had to settle for sixth. Morgan and Shedden followed him over the line. Jeff Smith (Eurotech Racing Honda) and Josh Cook (Maximum Motorsport Ford) completed the top 10. Ash Sutton (Team BMR Subaru), who was stripped of pole position for an overboosting issue, raced from the back of the grid to 13th.